Ideas for books come from everywhere. A particularly juicy story in the daily newspaper, a funny anecdote from a dinner party or a real-life tail from your own life. But a favourite of mine is television. Who doesn’t get inspired by a magnetic episode of Scandal with its brilliant cast of characters or a nail biting week of Homeland with its frantic twists and turns? I believe real life can be far more fascinating than fiction and in the case of my new release, The Magnate’s Manifesto, this was definitely true. One night I was watching a reality show about a stripper who was having her breasts enhanced for her job as a dancer in Las Vegas. She had done so well dancing she had accumulated a portfolio of Las Vegas real estate. I had no idea dancing could be so lucrative! As with all such fascinating occupations, I wondered how a person becomes a dancer? Where does she come from? What would lead a woman to a life on the stage where she gets up every night and bares her body and perhaps a bit of her soul to the men who come to see her? I was inspired. I had to write about a dancer. But I’ve never personally been on a stage so I had to find a stripper who could transport me into that edgy world. When I found her she was amazing. She not only worked in Vegas, she now runs her own stripping school with a business edge. She was utterly compelling. And my heroine, Bailey, was born. Bailey comes from a small town in Florida, where her mother was a hairdresser, her father an unemployed, alcoholic former football hero who never recovered from not being drafted by a college team. Bailey survives in her miserable existence where the family barely makes ends meet until a chance encounter with a dancer on a Tampa street introduces her to her way out. She discovers she has a talent for dancing and it gives her the one thing she wants—out of her miserable existence. She moves to Vegas with the promise to herself she will dance only long enough to put herself through school and then she’s out. She shuts herself off emotionally, gets on that stage every night and does what she needs to do to make her dream come true. It’s not pretty, but I believe Bailey is the most courageous heroine I’ve ever written. An MBA and a lifetime later, Bailey is working as a top marketing executive in Silicon Valley, her alter ego, dancer Kate Delaney who made quite a name for herself in Vegas, firmly put to rest. Until her boss, Jared Stone, writes an explosive manifesto about women meant only for his closest wingmen that gets leaked on the internet. When Jared is forced to promote her to satisfy the maelstrom his manifesto has created after ignoring her for years, Bailey once again chooses to be a survivor rather than a victim and takes the job. She embarks on her quest to prove herself to her new boss, but her dark past rears its ugly head to threaten everything she’s worked for. And suddenly being in the limelight again seems like a very bad idea. I hope if you get a chance to read the story you’ll think Bailey is as courageous as I do and enjoy her journey toward true love and acceptance. 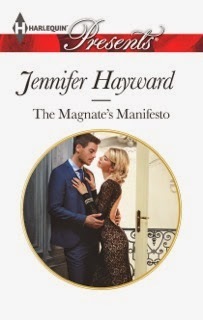 Jennifer Hayward’s The Magnate’s Manifesto is available now. I just wanted to say I loved this book! I thought Bailey was a true triumph of the human spirit! More please. thank you Shirley! That so aptly describes Bailey as I see her so so glad you thought so too! thanks for dropping by! 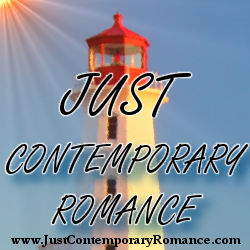 Amazing book and Bailey is one of my favorite romance novel heroines ever! I love that she's a survivor; it leads her down a path that would be uncomfortable for anyone, but she shines because of her background. Not in spite of it. Brilliant, brilliant characterization.